Here is my finished block! I ended up ripping 2 portions apart and placing the fabrics in a different order, but I am so happy with the result. There is some definite movement in this block! I love the lime green! It is an almost impossible to find Robert Kaufman Blender. I ordered it from Australia 2 years ago (the only place I could find it) for $20/meter! But I love it so much! I will use it in all my blocks, though maybe I should have picked a different color, Cathedral Windows do use up a lot of fabrics! 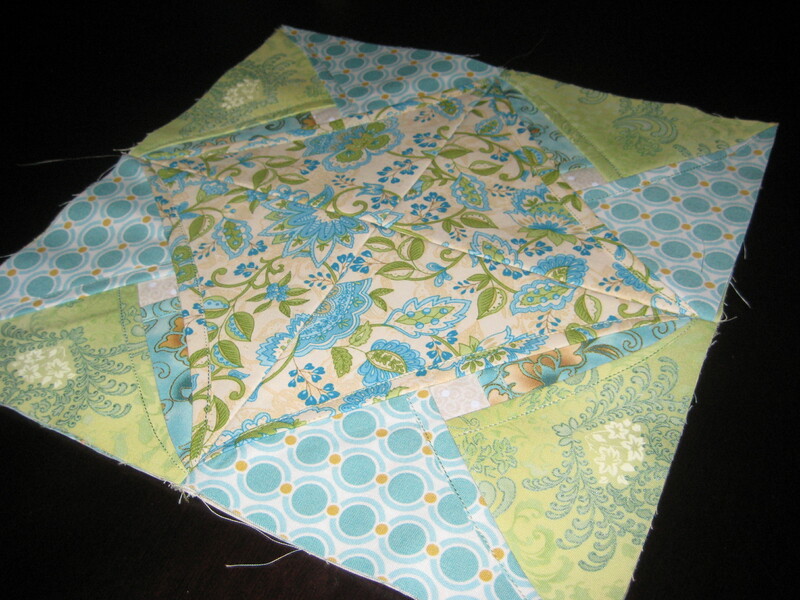 There are 5 layers to sew through on each side of this block. I pressed my seams open using my heaviest iron, lowering my board, applying a TON of pressure, and STEAM. The result is a nice flat block with no seam bubbles! Hurray! A huge thank you goes out to Bree at My Crafty Crap for hosting this QAL, and to all the sponsors for the wonderful prizes! 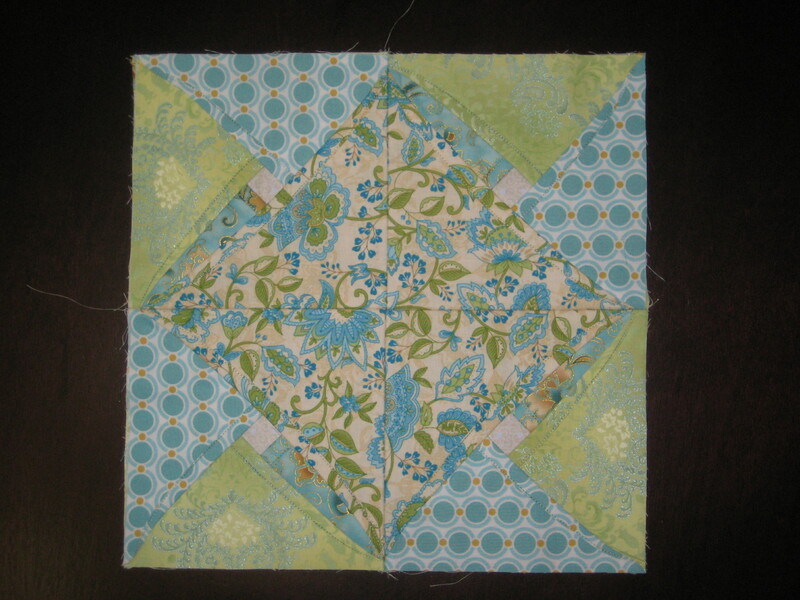 You can find the QAL rules, blog roll, and prizes there. I can’t wait for the next block!